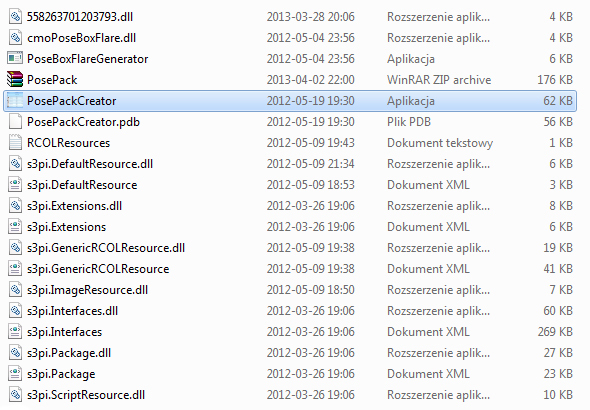 First you need to download a very usefull program for creating a poselist. Download the zip file and extract it win WinRAR or any other program for archives. You need to create thumbnails. Each thumbnail needs different name, because if two would be called the same none of them will show up in Pose Player list. Go ingame and take some screenshots of your poses. The size of thumbnail must be 59 x 60 pixels and image must be saved as PNG. 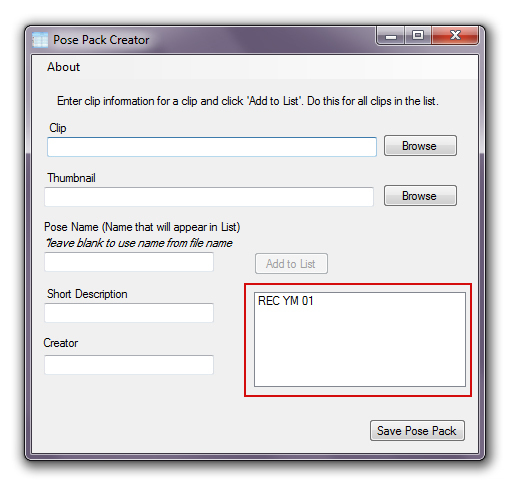 Now I will explain you how Pose Pack Creator works. 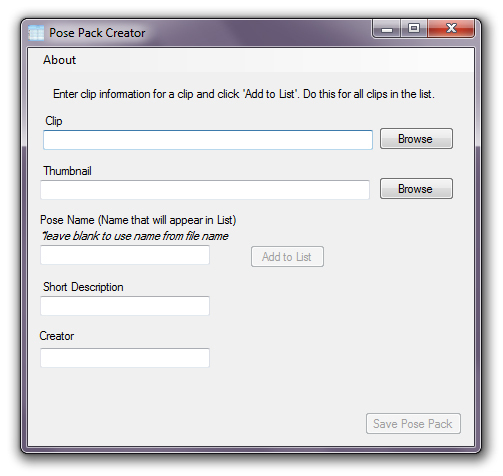 Go to Pose Pack Creator folder you have extracted few minutes ago. You will find an app inside. POSE NAME - It's your pose name. 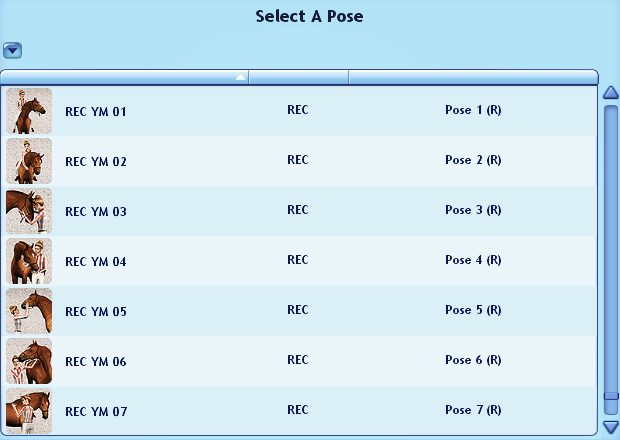 It's good to name all the poses similiar so they will appear on Pose Player list together, like "REC YM 01", "REC YM 02" etc. SHORT DESCRIPTION - Tell us what your pose contains, eg. "Extended Trot". 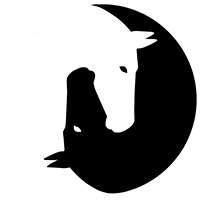 Also I use names (R) for riders and (H) for horses - eg. "Trot 1 (H)". CREATOR - Tell us who created this awesome pose! When you add the first animation, thumbnail and type all details, click "Add to list". All texts dissapear and a little box will show up. It's a list of your poses in pose pack. Continue adding next poses by "Add to List". When you add all poses it's time to save your pose pack. 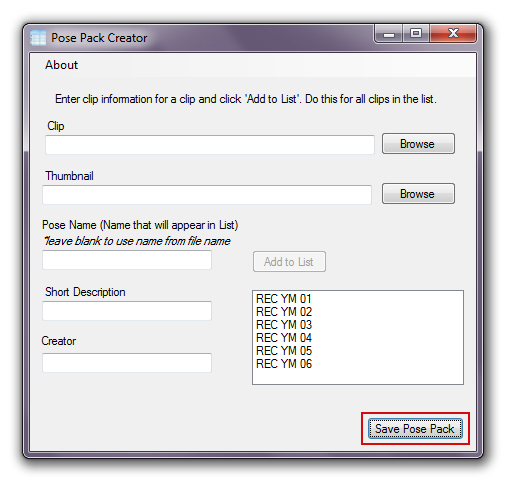 Name your pose pack, choose destination and click "Save". 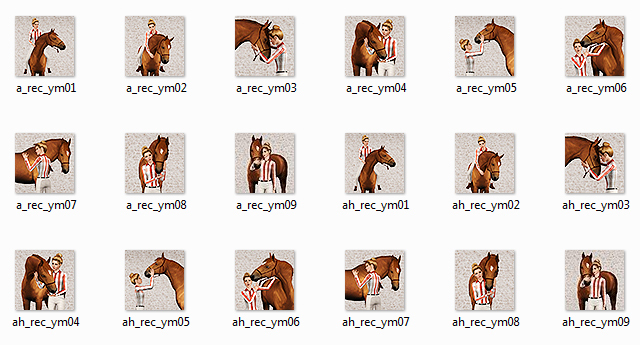 PPC will tell you that your pose pack is ready! When you go to destination folder where you have saved your pose pack, you will notice three files. 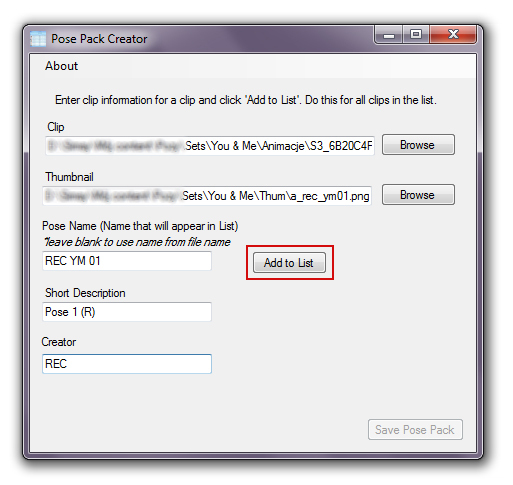 The only one you need is a package file of your pose pack, rest can be simply deleted. That's it! 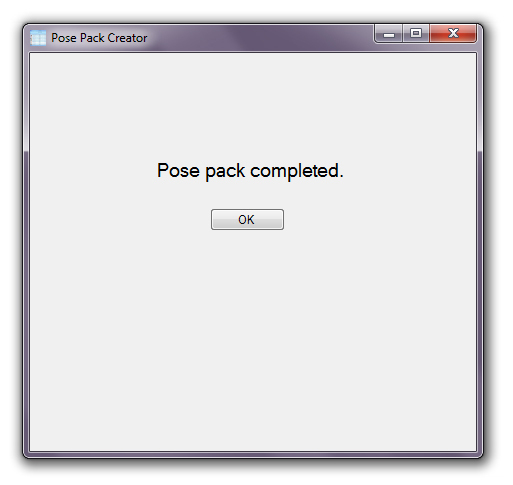 You have made your first pose pack. Now just copy package file to Mods/Packages folder, turn on the game and test it!